E-commerce allows you to perform financial transactions online. With e-commerce, you can accept payments in your app for transactions such as invoices, registrations fees, and more. Knack integrates e-commerce by accepting payments through a special payment view, and stores those payments as records in your database. All payments are made through a payment provider like Stripe or Paypal, and although you can store a user’s payment method through Stripe, no actual credit card numbers are stored in your Knack database for security reasons. Knack Tip: E-commerce is available on Pro plans or higher. Lower plans only have ‘Test Mode’ available to test out the functionality. 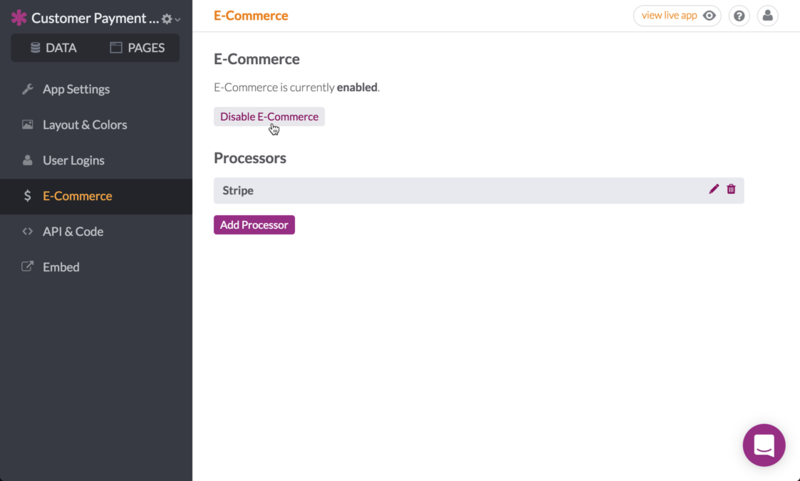 Note: It is important to note that only embedded apps and Knack URLs will allow an e-commerce view to work. Using a custom domain on your Knack App without embedding, will not allow the submission of credit card information. You can learn more about embedding your app here. What can I do with E-commerce? Knack Tip: You can learn more about payment views here. Users can also store their payment information using payment method views; they can update their payment information at any time or choose to remove it altogether. 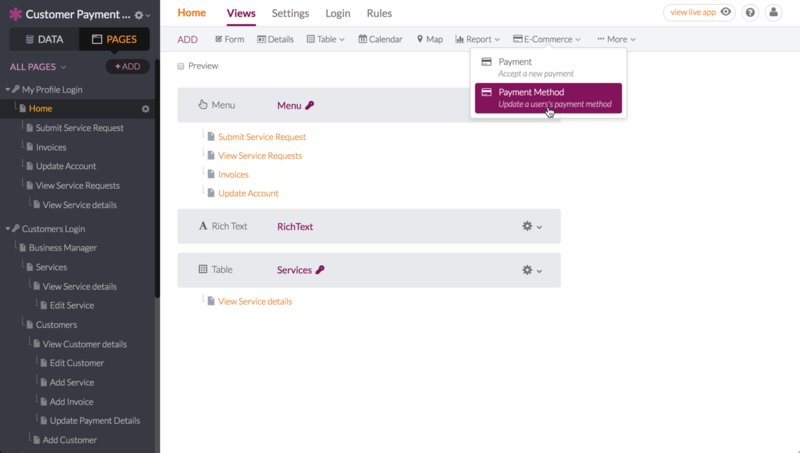 Payment method views simply require they be connected to a specific user record, meaning it’s also possible for you to update the user’s information on their behalf. Payment methods are stored in a special "Payment Methods" object. 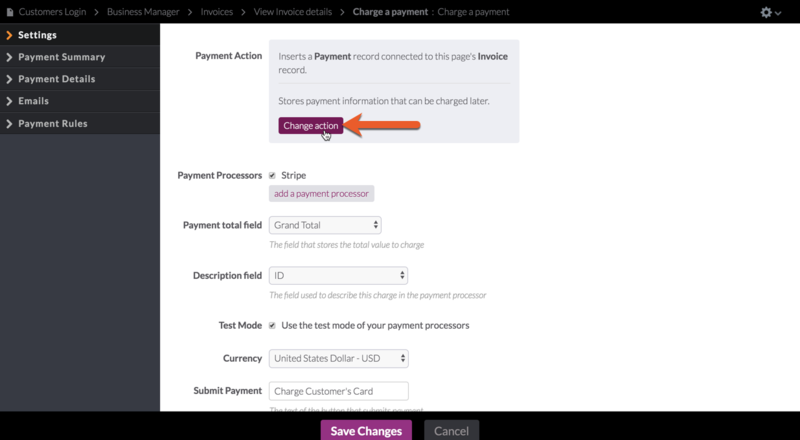 This object is automatically added when you add your first payment method view. It stores specific information about each payment method, such as the expiration date and which user it belongs to. Note: User payment methods are stored as a tokenized string which translates a credit card number into a unique, encrypted string, that is only usable by the app that created it. Actual credit card information is never stored in your Knack database in order to meet PCI regulations. Knack Tip: You can learn more about payment methods here. 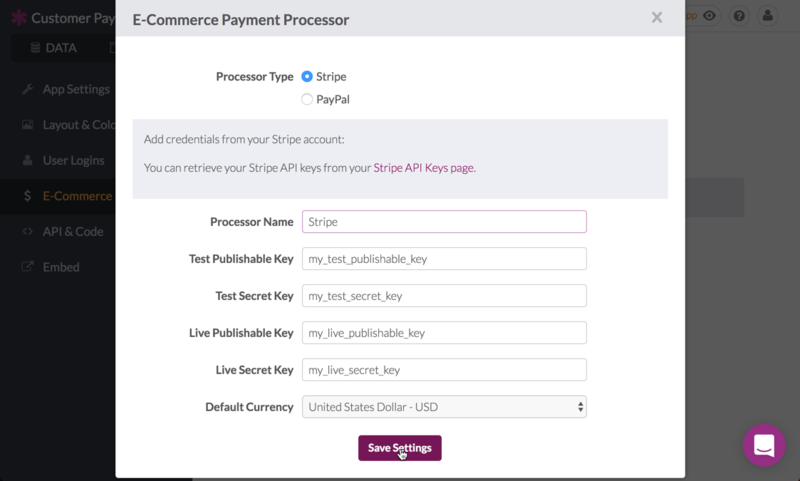 Before you can accept payments you first must activate E-Commerce features for your application. From the Knack Builder, navigate to the app settings and select the "E-Commerce Settings" tab. 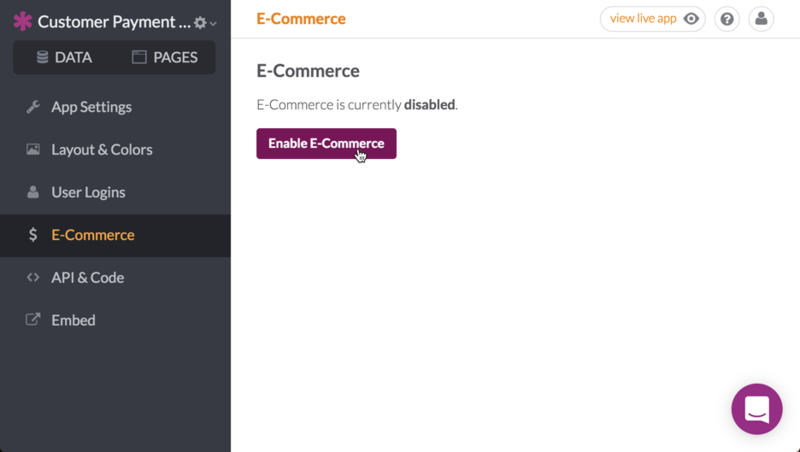 Click the “Enable E-Commerce” button. You will then be prompted to confirm E-Commerce activation. Click "Submit" to officially activate the feature for your app. Before you can accept your first payment, you must connect a payment processor account to your Knack app. The user will submit their payment method using one of these processors, which will then charge the user and transfer the money to your account; this means that Knack does not store any credit card information. Knack Tip: You can learn more on locating the necessary credentials and other general payment processors information here. 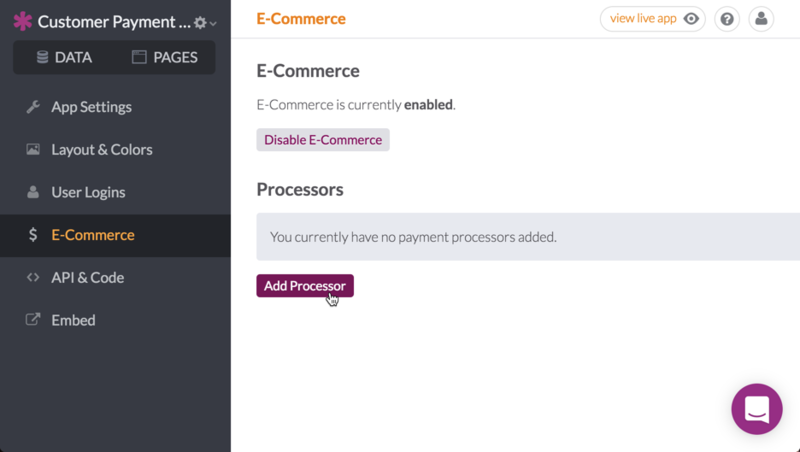 With E-commerce enabled in your app and payment processors added, the final step is to add a payment view. You will then be guided to choose a series of options to customize the view. 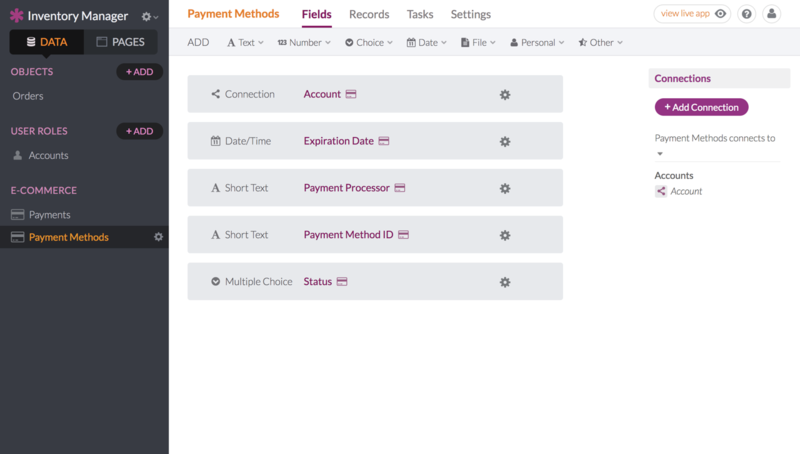 The payment view includes options for calculating the total payment amount, displaying the payment summary, sending email receipts, and rules for updating other database records. 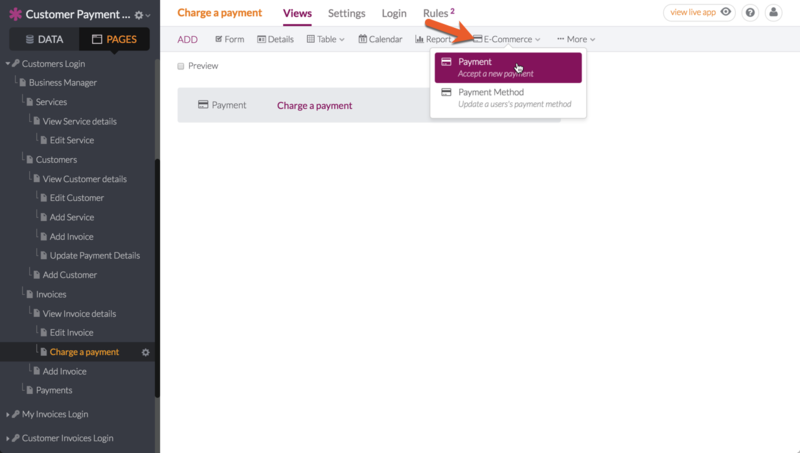 Knack Tip: There are several requirements a page must meet in order to be able to add a payment view, such as access to a numeric field in a record to calculate the total amount. You can learn more about payment views here. Payment views behave just like any other view types you may have interacted with. When clicked on, you can access all of its options. Payment method views can store, update, or remove a specific user record’s payment information. These views will only work with Stripe payment processors, so you must have one added in order to add your first payment method view. Knack Tip: You can learn more about payment method views here. 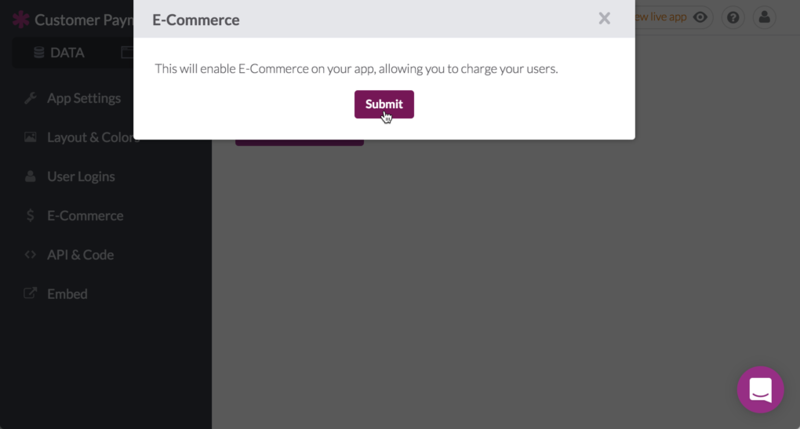 Note: Disabling e-commerce will delete any existing charge or payment method views in your app. It will not delete the payment / payment method records stored in the database. In order to accept your first payment, you’ll first need to configure a payment processor, then add your payment view to an existing page or form view within your app. Click here to learn more about Payment Processors. Click here to learn more about Payment Views.